Señorita Vino is dedicated to wine lovers of all stripes, palates, tastes and socioeconomic levels. In particular, we seek to create a forum for Latinas who like wine but may feel somewhat intimidated by the notion of selecting, tasting and talking about it. Founded by Pamela P., CSW, M.B.A., the only Latina in the U.S. who blogs exclusively about wine, Señorita Vino offers wine education in a fun and casual format with the goal of reinforcing the fact that wine can be enjoyed by anyone, regardless of their level of knowledge or experience. Wine education and consulting services also are offered. A graduate of the University of California, Pamela also holds a certificate in Wine Education and Management from UCLA Extension’s accredited program. She is a Certified Specialist of Wine through the Society of Wine Educators and earned the WSET Levels 2 and 3 certificates with distinction. 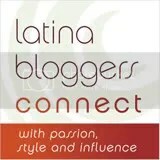 She is a contributing writer for Latina Magazine’s food and wine website, The Latin Kitchen. Last but not least, we care MUCHO about our readers and urge them to drink responsibly. Pamela P., autora del blog Señorita Vino, es hija de peruanos y sus pasiones incluyen el vino y la comida. Este blog sirve como un foro para mujeres latinas y cualquier persona que desea aprender más sobre el vino y cómo degustarlo y disfrutarlo con sus seres queridos. Pamela se dedica a educarse sobre el vino y compartir sus hallazgos con sus lectores. Cuando no está escribiendo su blog, trabaja por su cuenta como escritora y redactora y escribe artículos para el sitio web The Latin Kitchen de la publicación, Latina Magazine. Pamela lleva el credencial “Certified Specialist of Wine” por la Society of Wine Educators y también completó el programa de certificación en educación y gerencia enológica de la UCLA Extension. Completó los certificados WSET niveles 2 y 3 con distinción y completó su grado de maestría en administración de empresas (M.B.A.). La Señorita Vino los quiere mucho a sus lectores y les aconseja a beber responsablemente. SEÑORITA VINO IS A REGISTERED TRADEMARK/SEÑORITA VINO ES UNA MARCA REGISTRADA. ng you on channel 7 right now! Nice work! Thank you for the kind words, elkee! Thanks for watching and welcome to Señorita Vino! Cheers/Salud!